Even the mightiest of mega men may… meander… menacin- you know what? That’s way more difficult to do than it sounded in my head. As we continue our trip through the highlights of everyone’s favorite Super Fighting Robot, it’s important to remember that every hero has a dark side. So this week, we’ll be looking at some of the stranger, darker moments in the Blue Bomber’s history. 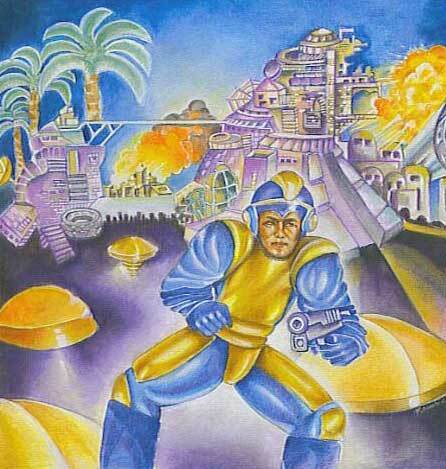 Straight off of the original box art of Mega Man (NES), here we have…eh, this thing. Included as a joke, Mega Man appears as a playable character in the PS3 fighting crossover Street Fighter X Tekken. His every appearance and movement is bulky, clumsy, and foolish, but at the very least his costume is well made in terms of it’s source material! Strike two for even remotely accurate box art. This image, while only pertaining to the European release, continues to invoke the question of how this series actually maintained popularity. They say you shouldn’t judge a book by it’s cover, and thank heaven for that, because this iconic character probably wouldn’t exist if we did. Swing and a miss, Europe. Unless you’ve played (the highly underrated) PSP exclusive Mega Man Powered Up! chances are you won’t recognize Oil Man. That’s because he holds a rather shameful spot in Mega Man’s reputation. Upon initial release of the game, Oil Man’s sparked controversy over the color invoked the 1920s-30s depiction of “black face,” a racial stereotype in which actors would paint their faces pitch black, and their lips and surrounding skin bright white. In terms of offensiveness, think Borat on steroids. The initial Japanese coloring replaced the navy blue with a near black, and the yellow lips with a light peach color. For obvious reasons, the colors were swapped before the game’s US release, and larger controversy was avoided. More recently, Oil Man was portrayed in the Archie Comics series of Mega Man comics as having his scarf cover his entire face, thus avoiding controversy entirely. Good move, Archie. Sometimes a video game can so accurately portray a war that simply by playing it, emotions are invoked in such a way that the player grows in their knowledge of history, and yearns never to repeat it’s mistakes. Other times, a level designer at Capcom models an entire level after Vietnam, and names the boss Napalm Man. Napalm Man’s name alone doesn’t place him in such a bad spot. Just take a look at his stage. Not only does it resemble a jungle, but it has Mega Man traverse tunnels similar to those used by the Vietcong. Finally when you add Napalm Man into the mix, it gets pretty hard to ignore. Unsurprisingly, this led to Mega Man 5 being banned from release in Vietnam. Not every game that gets past the idea stage is destined for release. No genre or series is safe. Capcom, however, has built itself quite a gathering of haters in the past few years with how they’ve treated the Mega Man property. Planned as an FPS reebot of the X franchise, this game was cancelled before anyone even knew it existed. The footage and description made it sound like the game would follow in the footsteps of Metroid Prime. That said, it looked pretty freaking awesome! Intended as somewhat of a Little Big Planet approach to the Mega Man franchise, Universe was going to be released on Xbox Live Arcade and Playstation Network. 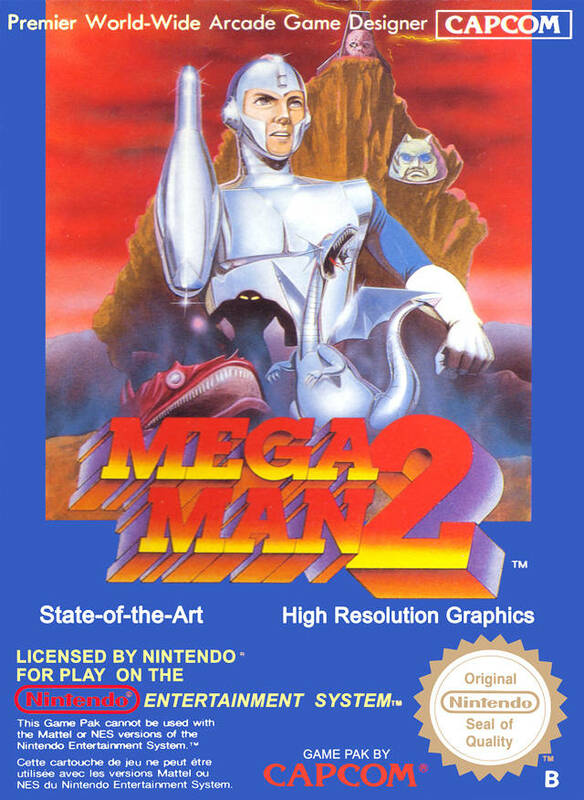 In it, players would design their own look for Mega Man (utilizing the appearance and weapons of other Capcom characters), build and share their own levels. Unfortunately, Keiji Inafune (the co-creator of Mega Man) had a falling out with Capcom, and departed from the company. In the aftermath, the game was scrapped in March 2011. All-in-all, the fan reaction wasn’t horrible, considering the game looked like a cross between Mega Man and Robot Chicken. Possibly topping the list in terms of disappointed fans sits Legends 3. Not only was the game going to continue the beloved Nintendo 64/PSOne series exclusively on the 3DS, but Capcom utilized Twitter to allow fans to choose a variety of character names, designs and features that would be implemented into the final product. Capcom’s pattern held true though, and in July 2011, the game was officially cancelled. Announced in 2010, Rockman Online was poised to be the first ever Mega Man MMORPG. Rumor has it the game was even near it’s completed stage. There were even contest winners waiting to be contacted so they could be added as NPCs in the game! They were never reached out to, and rumors ran rampant about the game’s fate until March of 2013, when it was officially cancelled. At the very least, we got a sweet trailer out of it! Alright, he’s taken his lumps. Next week, we’ll talk about the highest highs of the franchise, as well as some fantastic musical tributes to the Blue Bomber. Stay tuned!